PPK’s reprieve, however, was brief at best. In March 2018 he resigned in the face of video evidence that he sought to buy off a second impeachment vote pending before Congress. 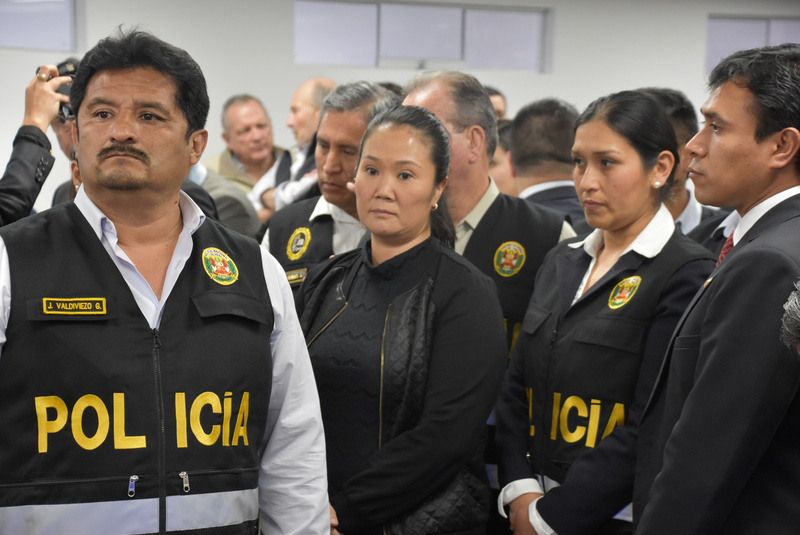 In October, PPK’s chief antagonist herself, Keiko Fujimori, received a sentence of 36 months of preventive prison for her involvement in the Odebrecht Scandal. She stands accused of running a criminal organization from within the Popular Force party itself. Prior to this tsunami, Peru’s political landscape felt like politics as usual. The same faces were poised to run for president in 2021 and beyond. Since then, some of Peru’s traditional political parties have experienced a major collapse in their support and an implosion in their ranks. For instance, in regional and municipal elections held recently, the Popular Force’s candidate for mayor of Lima received just 2.8 percent of the vote. Now that corruption scandals have felled both PPK and his main opponent, it remains for Martín Vizcarra, an accidental president who assumed the role after Kuczynski’s resignation, to pick up the pieces. Vizcarra has attempted to distance himself from the corrupt political class through a series of ambitious political reforms and his approval ratings have swelled as a result. Because the Odebrecht Scandal has engulfed so much of the traditional political class in more than a dozen Latin American countries — revealing just how entrenched and systemic corruption is in the region — the fight against corruption cannot progress without some element of political reform. For the first time in recent memory, Peruvians have a genuine chance to implement major institutional reforms. Among Vizcarra’s proposals are the (re)creation of a Senate (dissolved in 1992 under Fujimori), a prohibition on all private financing for political campaigns, term limits for members of congress, and judicial reform in the Council of Magistrates, which vets and oversees judges. Despite an attempt by the Fujimoristas to impede these efforts, Vizcarra’s proposals will appear on the ballot for a nationwide referendum on December 9th. Indeed, there is cause for optimism. Vizcarra’s proposals represent the greatest potential overhaul to the Peruvian constitution in a generation. As with all of Latin America’s celebrated advances against corruption, however, Peru’s fortuitous moment has given rise to hyperbole and hyperventilation about this “once in a lifetime” opportunity. The “Odebrecht case is the meteor that will extinguish the dinosaurs,” said Julio Guzmán, the once and future presidential candidate of the Purple Party. Rather than a meteor smashing the political establishment and leading to its extinction, a better way to view Peru’s situation is as the first step in a major purge (“una gran perga”) of institutional corruption. While many Peruvians are craving a real fight against corruption, their country is still far from political stability and a consolidation of robust democratic institutions. The establishment has proven itself a clan of wily survivors, and the reforms still need to win over a majority of the Peruvian populace in an environment bound to be inundated with false stories and propaganda by the establishment-controlled media. More than anything, then, Peru has the opportunity to embark on a virtuous cycle that, through various feedback mechanisms, could reinforce public opinion and lead to greater demands for reform in other areas, such as education or health care (also controlled by deeply-embedded special interests). If Peru fails to thread this needle, its politics could devolve into an unproductive search for greater dark horse and outsider candidates who are even less prepared for the realities of tackling Peru’s systemic corruption.